Super Gas points leader Devin Isenhower posted this video of the third round Super Comp race between Cole Cummings and Tommy Phillips at the AAA Insurance NHRA Midwest Nationals last weekend. 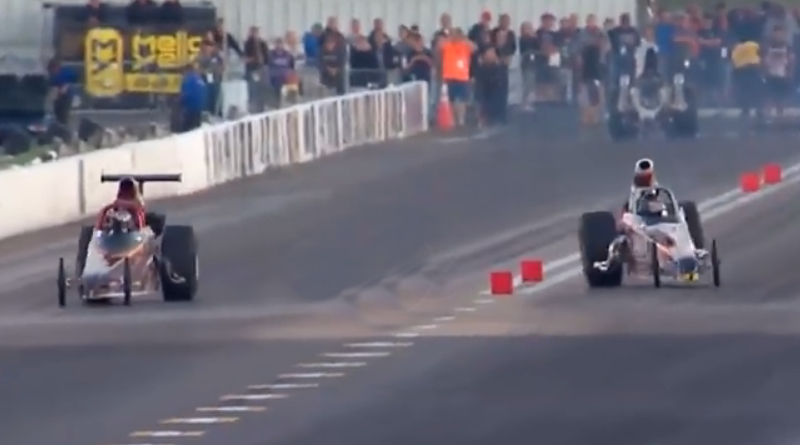 They were the first pair down the track after the Funny Cars ran and obviously something happened to the track as both drivers nearly crashed. After the run, the NHRA made the extremely rare decision to re-run this pair. Tommy turned it red on the re-run but that’s not the story, the fact that two purpose-built cars couldn’t get down a national event track is what’s interesting to me. Either way, glad to see both racers kept the shiny side up and no one was hurt. ← NHRA Championship Drama At D5 and D2 LODRS?